The name 'Paine' (pronounced pie-ne) is an old indian word for 'blue'. 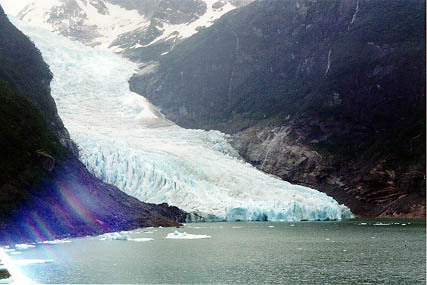 I guess the park took this name because all the glaciers and fjords in the area have a blue tint to them. The huge Paine granite pillars are astonishingly breaktaking, making Yosemite El Capitan look like a dwarf. 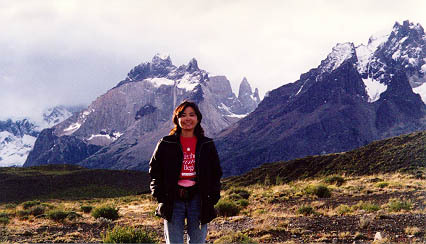 The starting point to Parque Nacional Torres del Paine is the lovely town of Puerto Natales, located along the Fjord of Ultima Esperanza (Last Hope Sound). It is 247 Km North of Punta Arenas, the southernmost city in the world, located right on the Strait of Magellan, in the Chilean Patagonia. 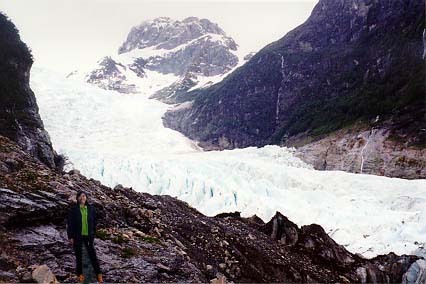 The Paine Massif is made up of the Paine Grande, cuernos (horns), Almirante Nieto, Torres, Paine Chico and Cabeza del Indio. 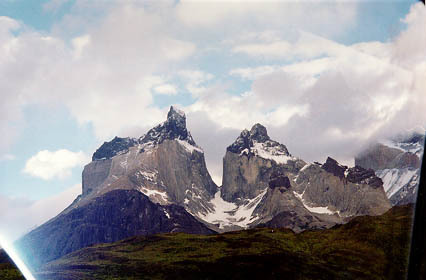 The highest is Paine Grande at 3050 m. The cuernos are called La Espada, la Hoja and la Mascara.